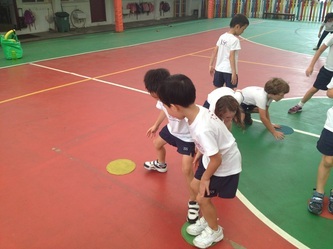 The Physical Education portfolio pieces that Grade 1 completed for Semester 1 are now available for viewing and commenting online. 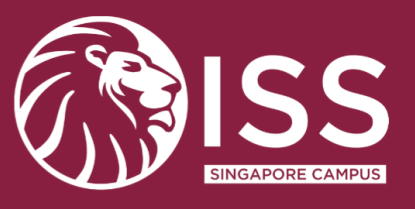 Students, Parents, Grandparents and friends can now click on Student Portfolios on the sidebar and then click on the corresponding Grade 1 class in the drop down menu to view the portfolio pieces. Please feel free to leave a comment for your child about their work so far this year in Physical Education by clicking on Comment in the top right corner. 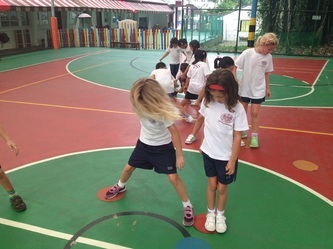 We hope you enjoy seeing what Grade 1 was up to in the first part of the year. 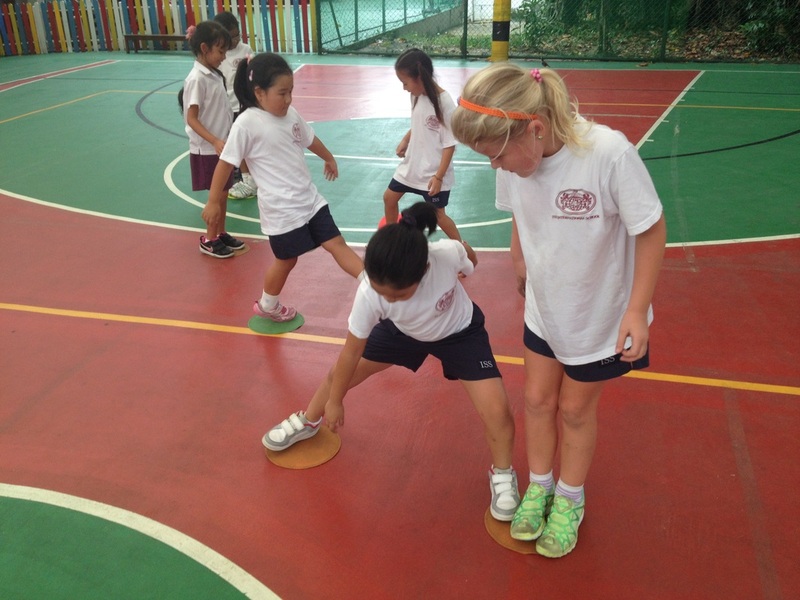 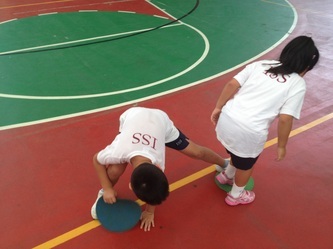 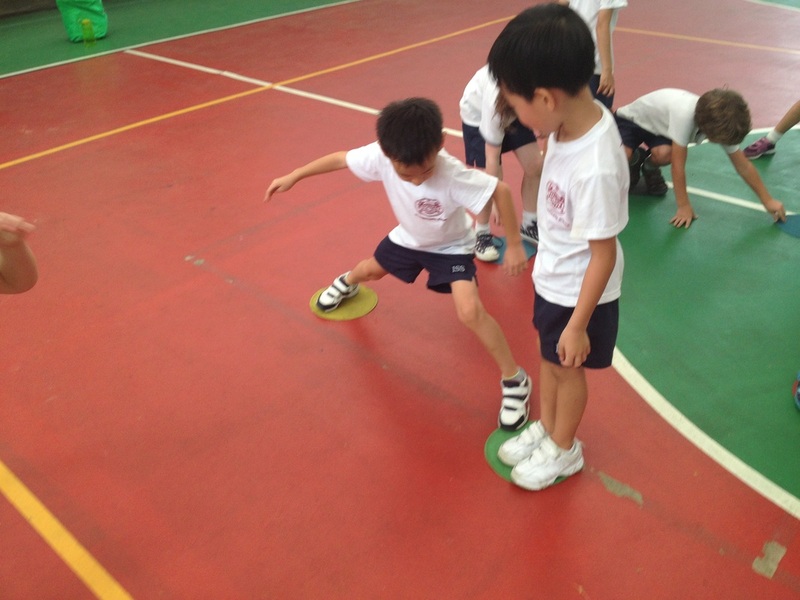 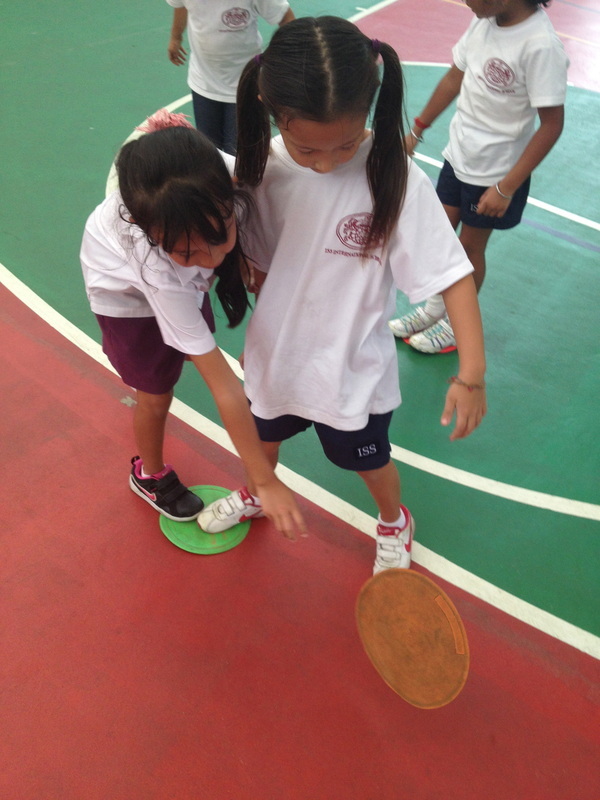 Grade 1 have started their 3rd unit of the year on Target Games. Students were invited to try out a number of different activities to see if they could identify the different aspects and skills of Target Games. 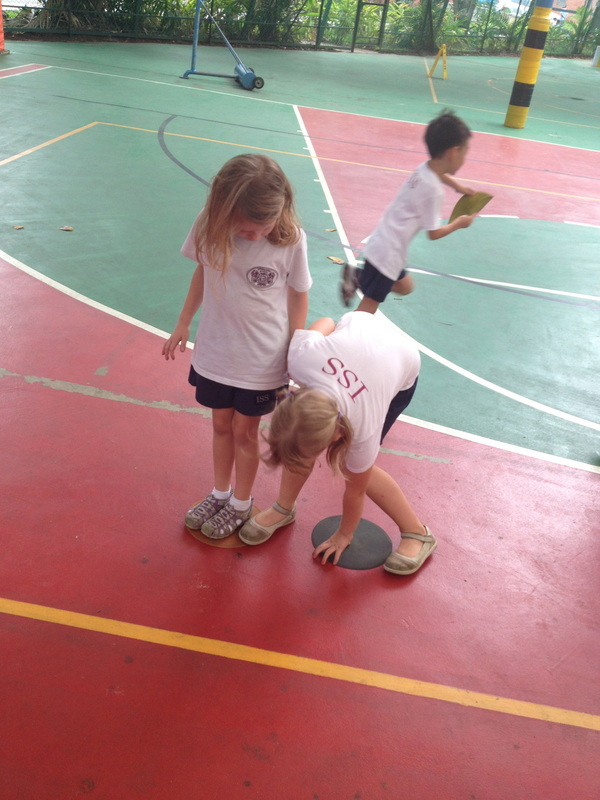 This week Grade 1 worked with a friend to try to solve a problem. 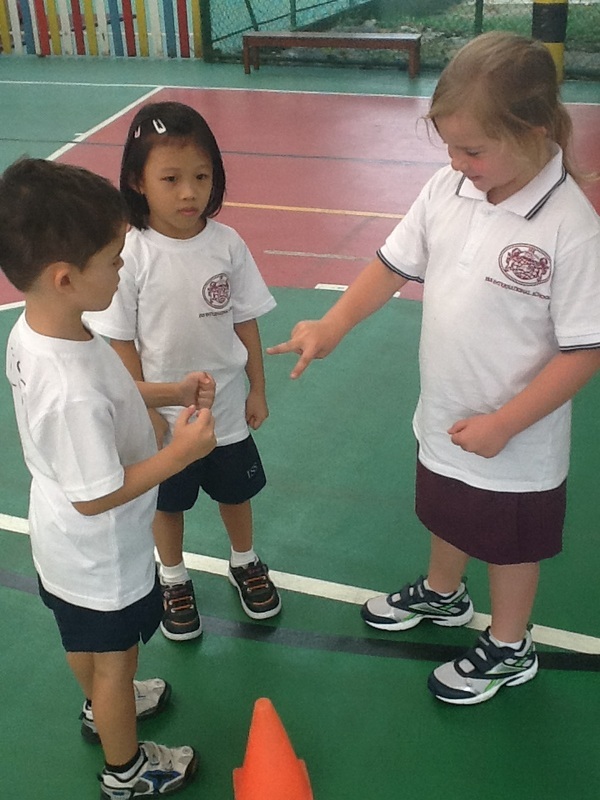 Each pair we given two magic stones to try to cross a fast flowing river. They had to communicate with each other and work together to solve this adventure challenge and make it safely to the other side. Take a look below and see how we did. 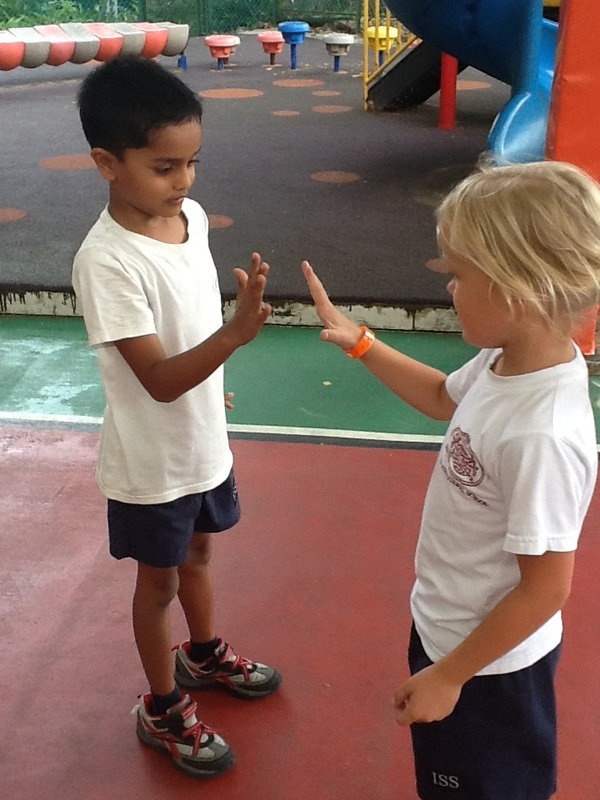 Grade 1 have been inquiring into how their senses enable them to learn, explore and communicate. 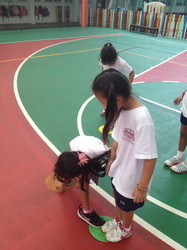 In PE we used the blindfolds to experience what it would be like to have no sight. 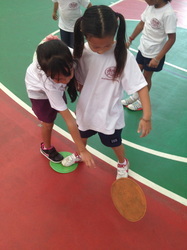 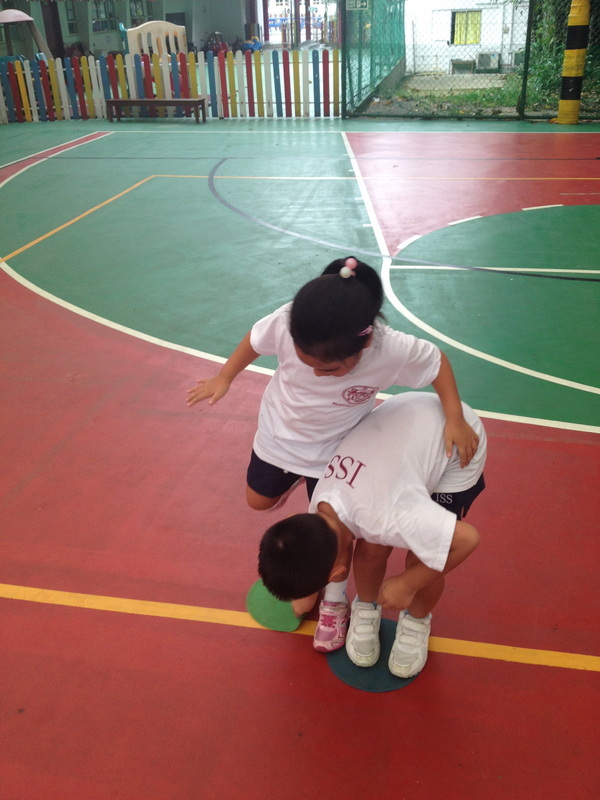 We needed our friends to help us to move around a course and collect the balls. 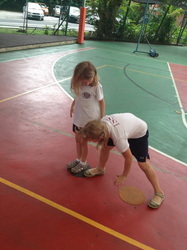 As you will see in the video, students used a number of different ways to help their friends complete their challenge. 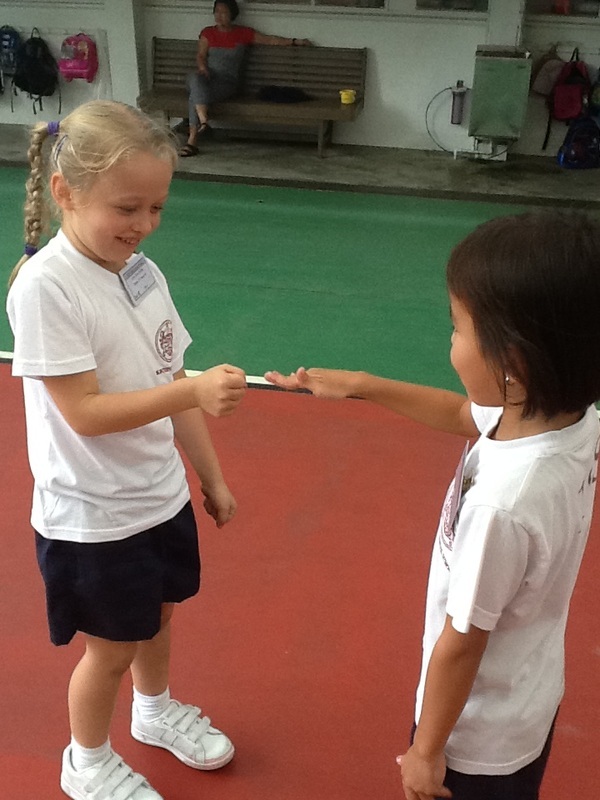 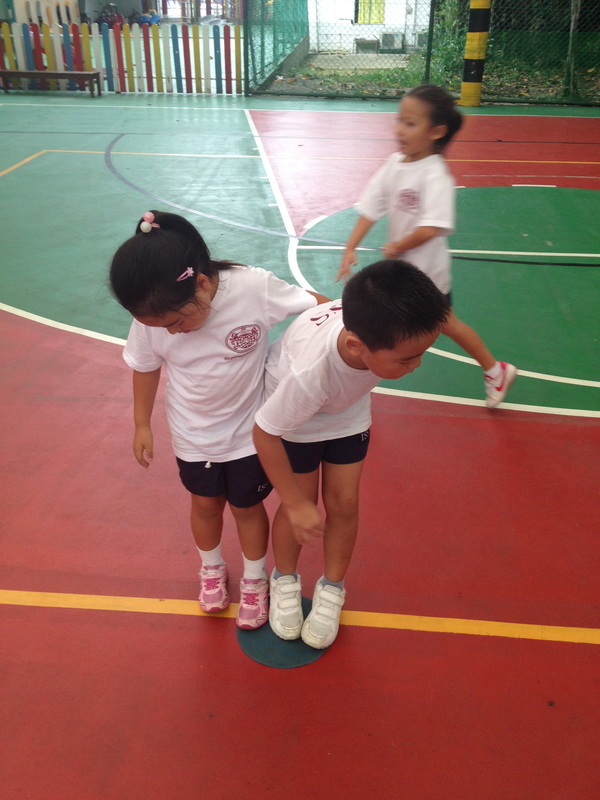 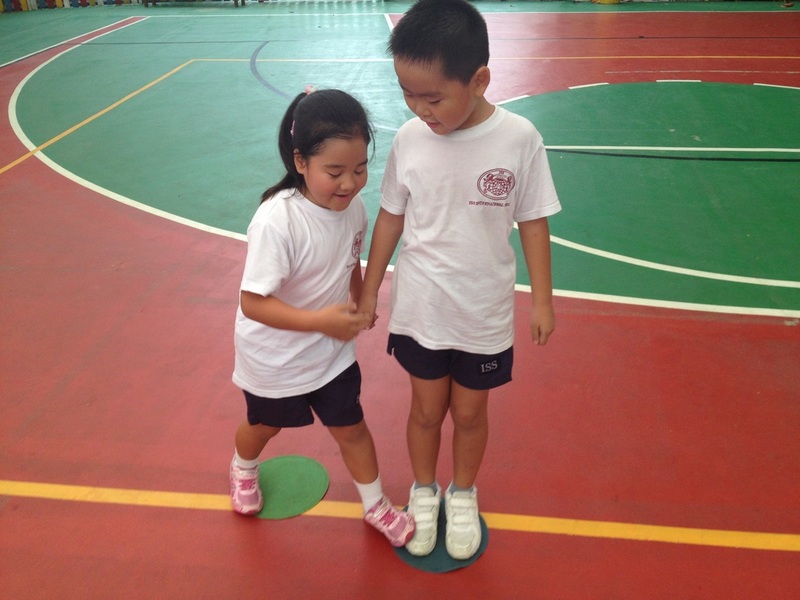 Grade 1 started their year in PE with a game of Rock-Paper-Scissors Baseball. This fun game get us active but also makes us think. 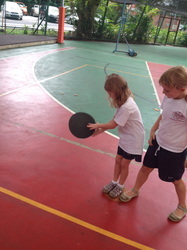 A combination of fun and strategy, the Grade 1's had a great time!